Now, that's what I call a kitchen with class..
4 comments on "Kitchen love"
I couldn't agree with you more. 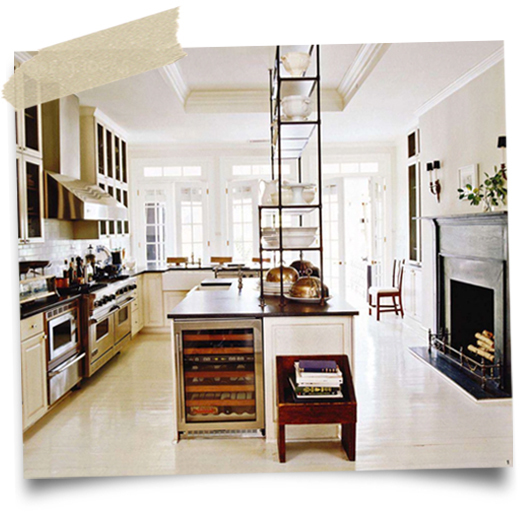 That's the first time I've seen shelving attached to the counters...I like that idea. Class and space together. What else can we ask for?